We have over 400,000 monthly views on Pinterest - join us! Adrian Zaw - Interview with the Amazing Adrian Zaw and what does he bring to the Wedding Industry. Who is Adrian Zaw and Zaw Studio. Adrian Zaw is an Actor, TV Host and Executive Producer of ZAW STUDIOS. The Studio was created because he couldn’t afford to rent one in the San Gabriel Valley. There was large pool of Studios on the Westside but when it came to the 626 area code there was very few if any at all. When he found a Photo Studio that also doubled as a Film Studio they were charging way too much and it inspired him to be more innovative in creating a Studio that produced quality content for an affordable rate. After establishing a Corporation in 2012 as Zaw Inc. The Studio was constructed in a brand new commercial complex and open its doors in 2013. It now specializes in Film Production, Photography, and Marketing with sub divisions in Voice Overs, and Drone Videography. How did Adrian start in this industry and what are his most memorable accomplishments. Adrian started in this industry at age 12 when at a Career Day an Actor among other professionals came to speak about their jobs. The Actor said you get “free food” in the entertainment industry and Adrian was sold since then, and studied in the industry. In 2007 he worked on a project that received an Emmy for Outstanding Broadband Drama called “Satacracy 88” and in 2008 launched a Action/Drama Web Series that was picked up by the SyFy Channel and Netflix as “The Resistance Series”. In-between projects, he spent a great deal Producing and TV Hosting Entertainment Reports. 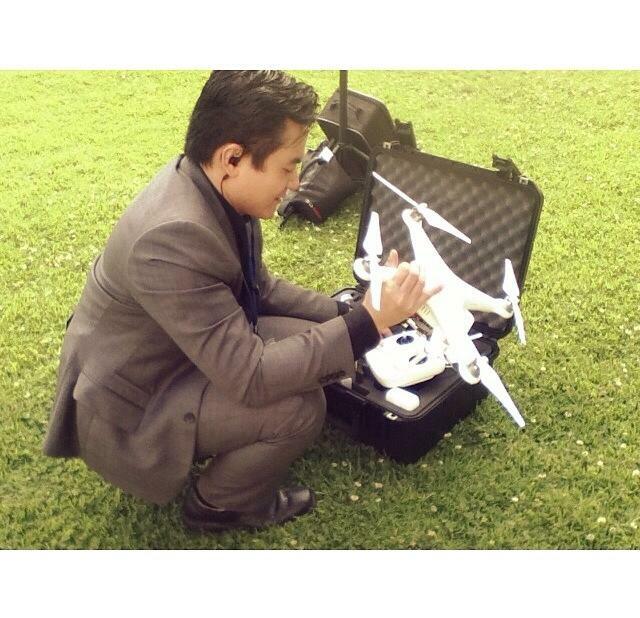 According to Adrian: “Drones are revolutionary and has been on the cutting edge of technology. Due to their advancements in stabilization, we are able to take video and photos from places we never have before at an affordable rate not possible otherwise. If someone is interested in hiring someone to film their event or wedding via a drone – what are the pertinent questions they should ask before hiring the person. What are the questions they should ask or know to ask for the day of the event Drone filming. To film an event or wedding via a drone – what will a venue require. Currently and for a limited time, there are very few restrictions on using drones as it’s not officially regulated until 2015. So clients have a unique opportunity to make their moments extremely special and one of a kind. Adrian's company has the appropriate liability insurance to cover use of Drones on various property. The biggest precautions are if the venue or location has airspace restrictions. How long does it take to set up for filming. A drone can be ready to fly in as fast as 5 minutes. That includes record building, setting up and syncing with satellites. This is faster than setting up a a video camera and lights. In your studio, what is the turn-around time before a client gets their film back? 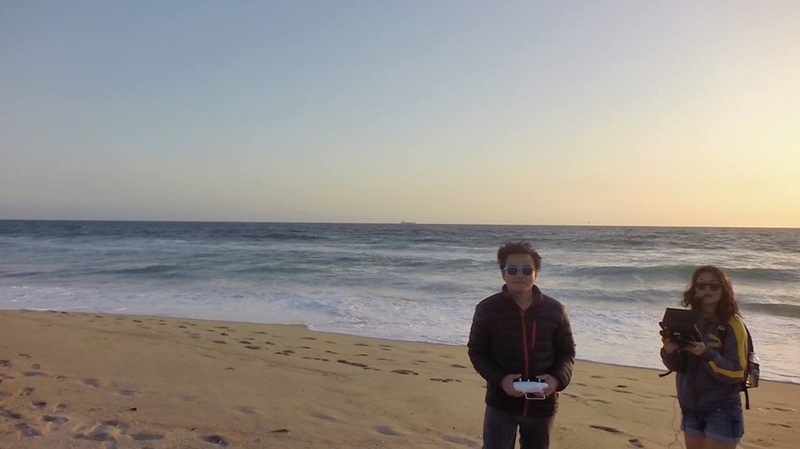 What are the different levels of Drone Videography? “There are different levels of drones as there are different levels of film cameras - from DSLR Cameras to RED Epics. The difference is $5k to $40k Camera. What that allows is that you can get the same or similar type of quality videos for different budgets. The Drones I have are fast, high quality, and affordable. That’s what’s revolutionary about the new advancements. Adrian Zaw and his Drones will be at the White Satin Wedding Show. Adrian is one of our expert panelists and he’ll also be there doing demonstrations and answering questions.